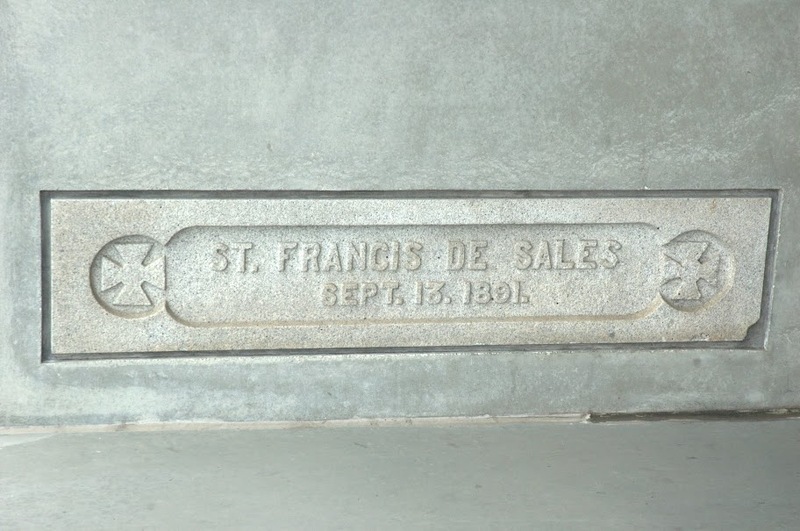 The Cathedral of Saint Francis de Sales (aka St. Francis de Sales Church) (1891-1993) served as the Gothic Revival cathedral of the Roman Catholic Diocese of Oakland, California. Mary Canning, an Irish immigrant who had made her fortune in real estate, donated the funds to build the church. Canning's contributions were estimated at $100,000 to $125,000 for the majority of the church construction and interior fixtures. The church was designed by architect Charles J. I. Devlin (1858 - 1928), who was a first-generation Irish American. When completed, the church was one of the tallest buildings in Oakland. The brick structure was damaged during the 1989 Loma Prieta Earthquake, but the cost of retrofitting to modern safety standards (not to mention repairs! ), would have been prohibitive. In 1993 the cathedral was razed. In its place, approximately 100 units of affordable housing are slated to be built.